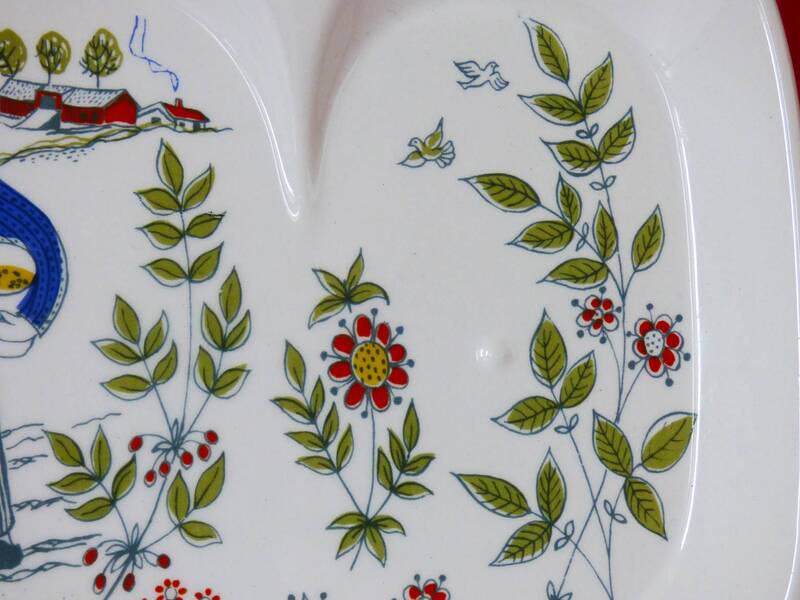 A wonderful double-sided plate often referred to as a breakfast plate, although it is suitable for light lunches, serving nibbles and snacks, or just as a beautiful ornament. 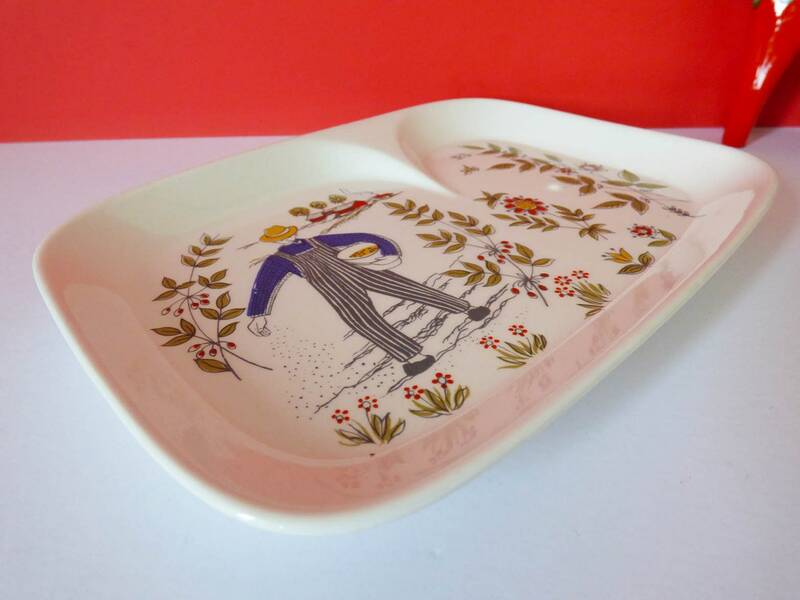 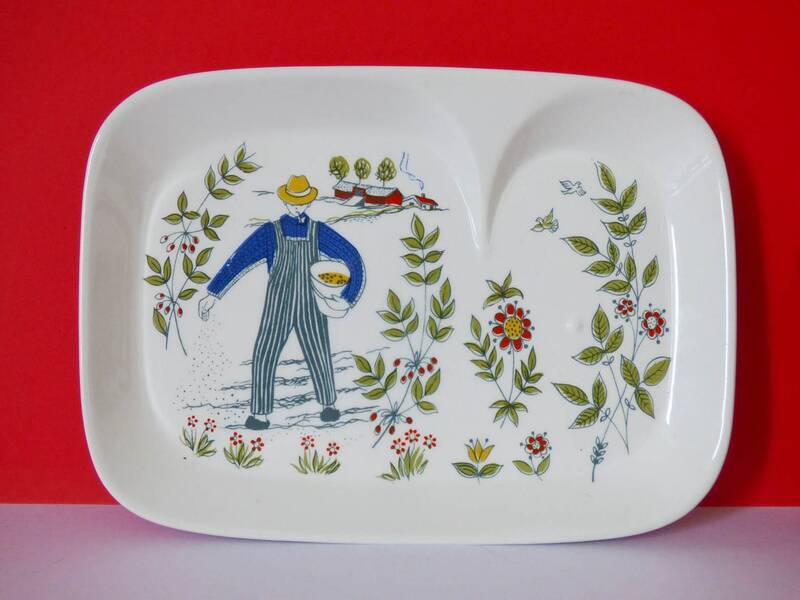 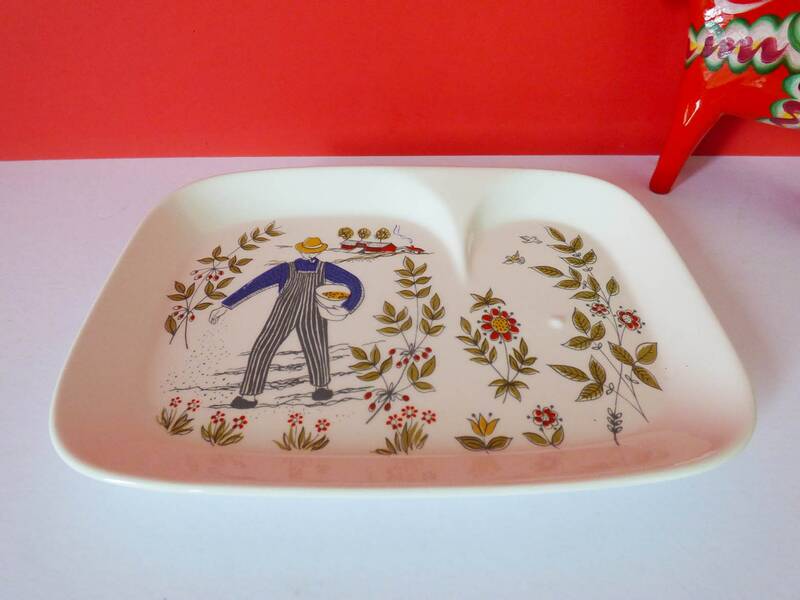 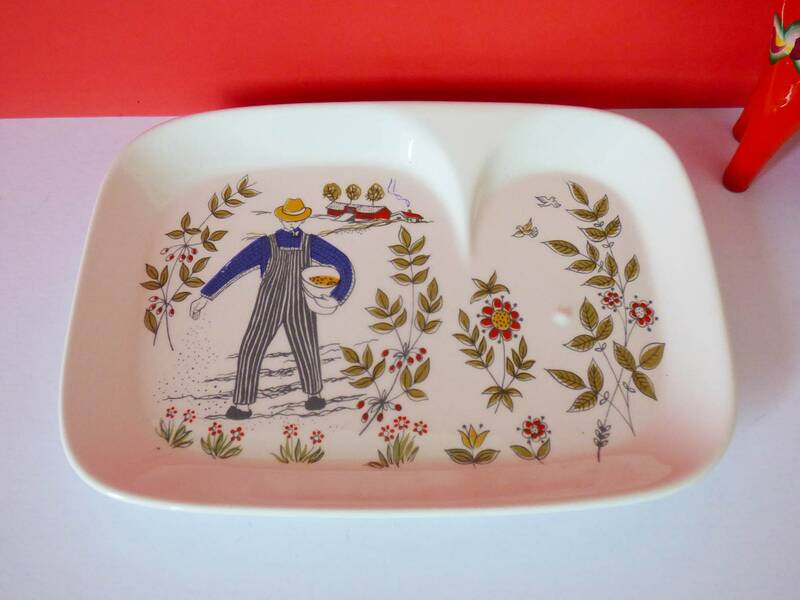 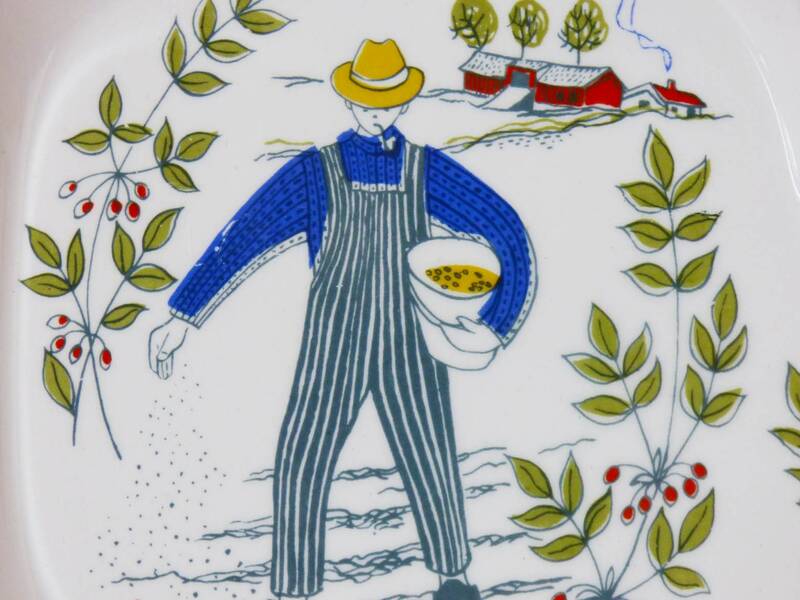 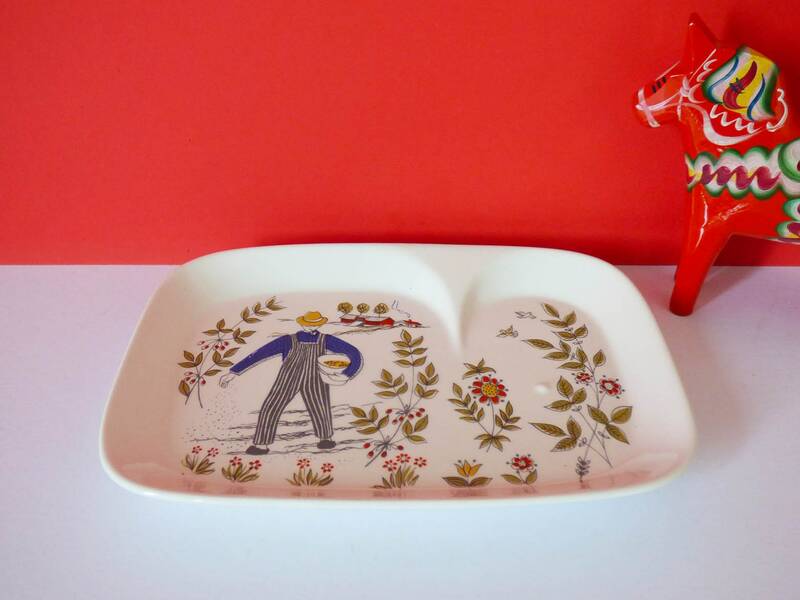 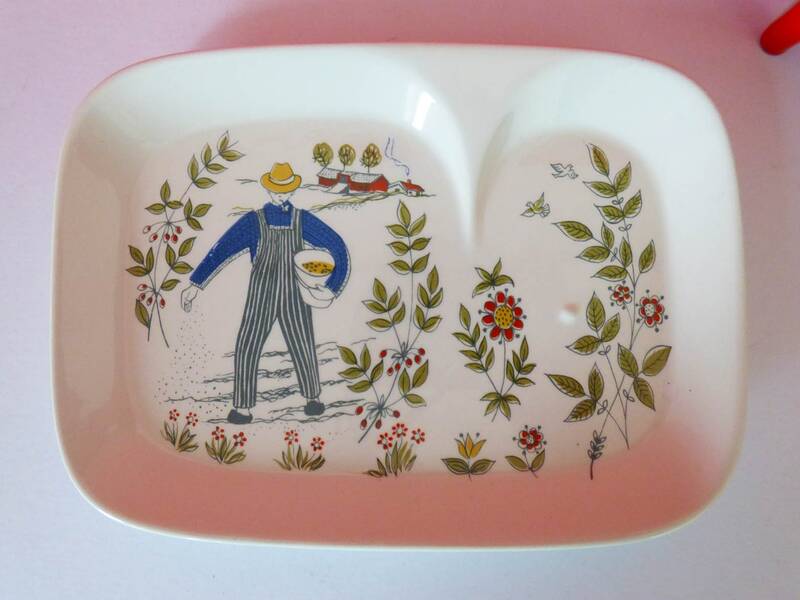 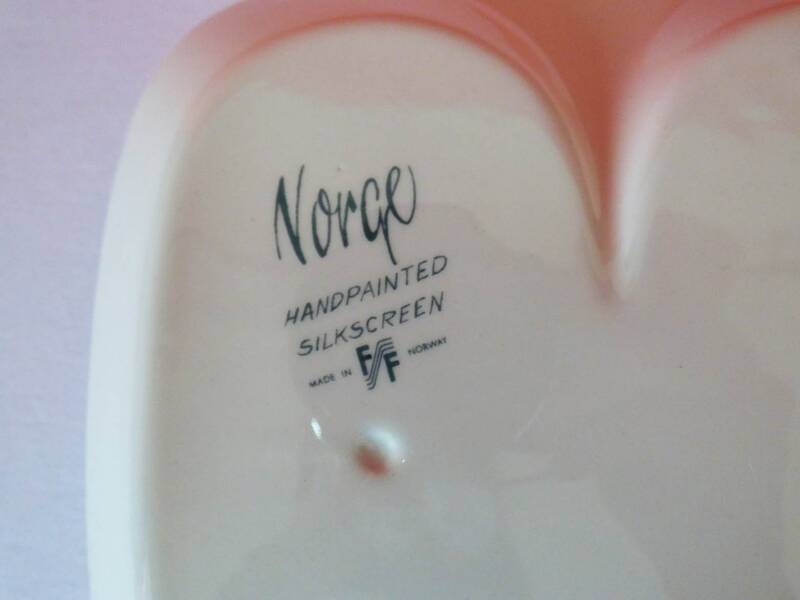 There are 2 sections to the plate, the smaller side has a raised dent, which I assume is to stop your egg or avocado for moving, an ingenious design, designed by Figgjo Flint, the handpainted silkscreen has been applied to the white ceramic plate, the illustration depicts a man picking fruit and is typical of his Norse designs, a lovely piece of tableware, with a classic Scandinavian illustration. 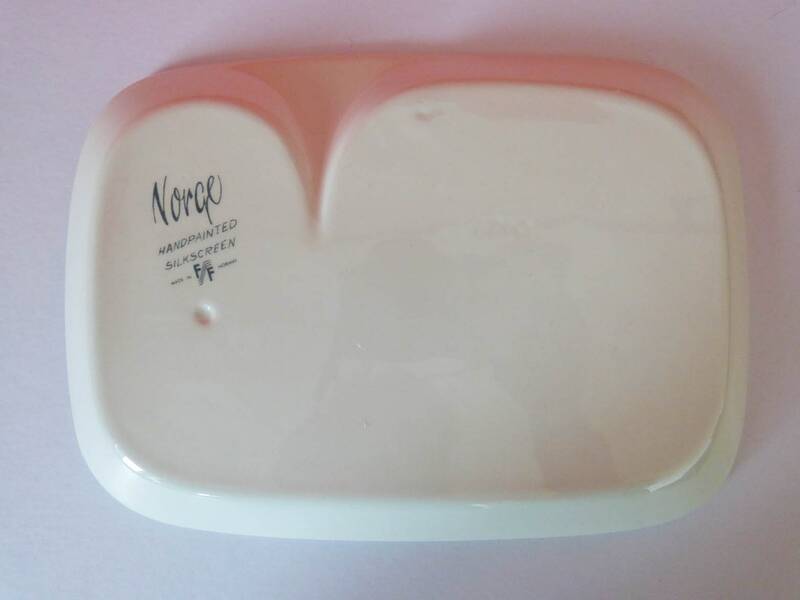 Great condition, no chips, cracks, or crazing.